What better way to end Denim Week than with DIY Friday! Halloween is fast approaching. 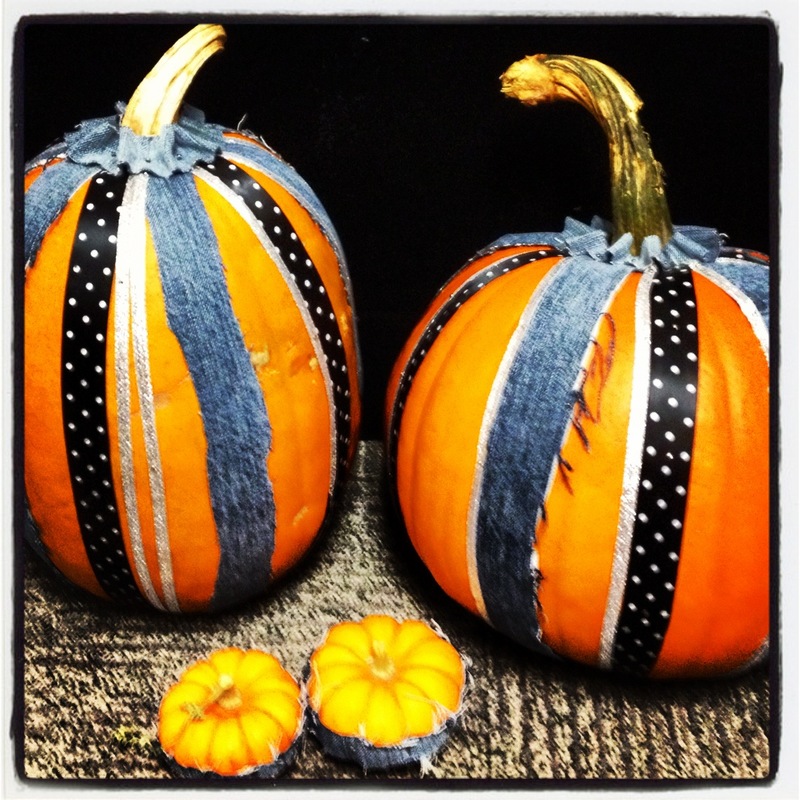 So, get into a ‘spooktacular’ mood by making your own denim-adorned pumpkins! Step 1: Grab all of your supplies! 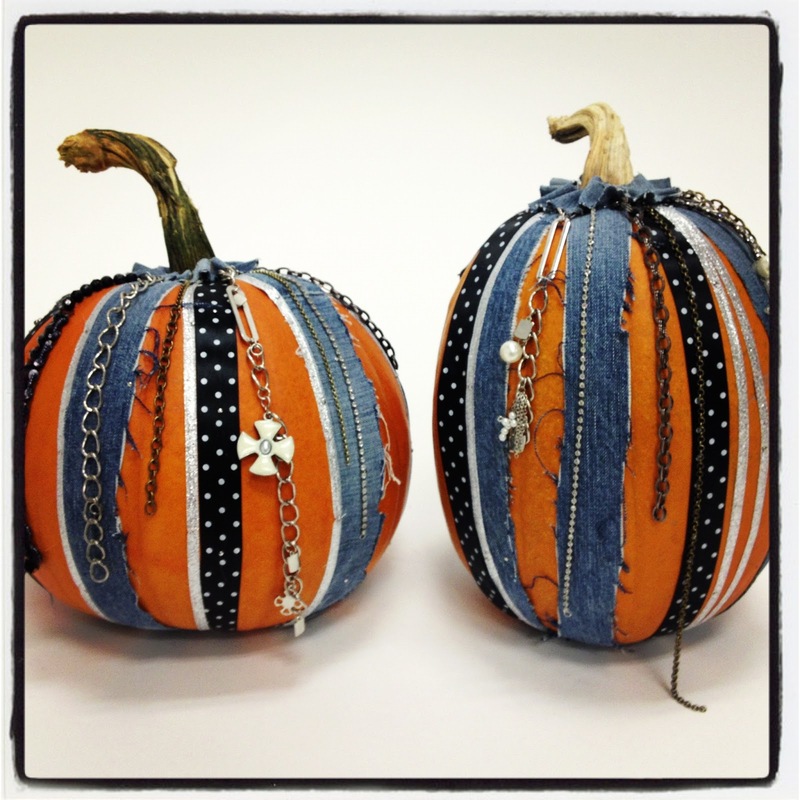 We used pumpkins, jeans (use a pair that you no longer want), ribbons, and straight pins. Feel free to use additional items to help personalize your pumpkin! Step 2: Cut your ribbons and denim into the size and style of strips that you would like to use. Since each pumpkin is unique, don’t forget to measure and cut them to fit your pumpkin! To fray the denim rub and pull the ends where the denim was cut. Step 3: Now it’s time to get creative! 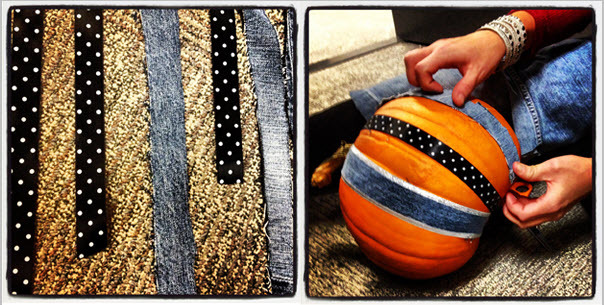 Begin placing the ribbon and denim strips on your pumpkin. Use the straight pins to hold them in place. Once your pumpkin is decorated, go around the base of the stem with another strip of denim or ribbon to hide where the strips meet the pumpkin stem. You could also tie denim or ribbon around the stem to create a bow. Your denim-adorned pumpkins are finished and ready for display!